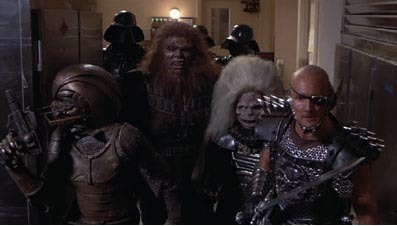 I love the Masters of the Universe film. It is far from a great movie, but I will never quite understand why fans of genre features hate on it so much. 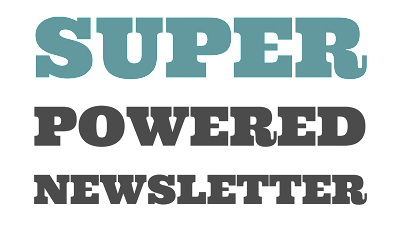 It’s a solid adaptation of the cartoon property that grows it up while also introducing some new ideas. Part of it might be the budget. Director Gary Goddard did tons with the reported $22 million he had with the film, but it still seemed stretched to its limits at certain points. Or perhaps it’s the lack of some regular cartoon characters like Battle-Cat, Orko, Merman or Trapjaw. 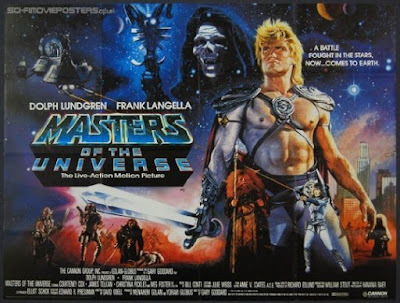 Whatever it is, I would argue that Masters of the Universe is one of the forgotten classics of the 1980s. 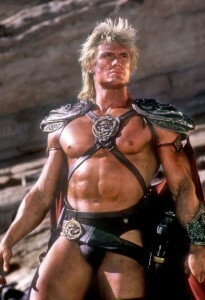 Dolph Lundgren, fresh off Rocky IV, was perfectly cast as He-Man. His height and physique filled the role to perfection. Outside one or two scenes that could have used a better take, his American diction is near perfect. Dolph will never win an Oscar, but he’s got the skills to pull off a great action movie. The movie takes He-Man, Teela, Man-At-Arms and new character Gwildor to Earth as they barely escape the hands of Skeletor’s army. This of course embroils them with human teenagers played by Lieutenant Tom Paris and Monica Geller. The future 90s stars were lovestruck teenagers that quickly found themselves hunted by Skeletor’s minions after they find Gwildor’s Cosmic Key. Frank Langella makes an amazing Skeletor and shows off major acting chops as the nefarious villain, years and years before his Oscar nomination for Frost/Nixon. But he is far from alone in troubling He-Man. The movie gives a solid menagerie of villains serving under Skeletor, expertly played by future Oscar nominee Frank Langella. Meg Foster makes Evil-Lyn extra creepy. She and Beast-Man are joined by three original evil warriors Karg, Saurod and Blade. From left to right, Saurod, Beast-Man, Karg & Blade. This leads to several big fight pieces, a lot more gunplay than you might expect and finally a big duel between He-Man and super-armored-there’s-a-stuntman-fighting-here Skeletor. 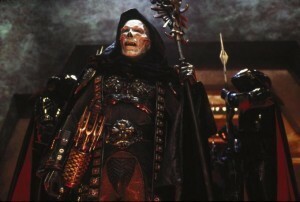 Ultimately, Masters of the Universe isn’t a perfect film, but it is an amazing feat for its time and place. It still goes down in my mind as one of the finest toy-based films of all time, leaps and bounds above Michael Bay’s Transformers franchise.